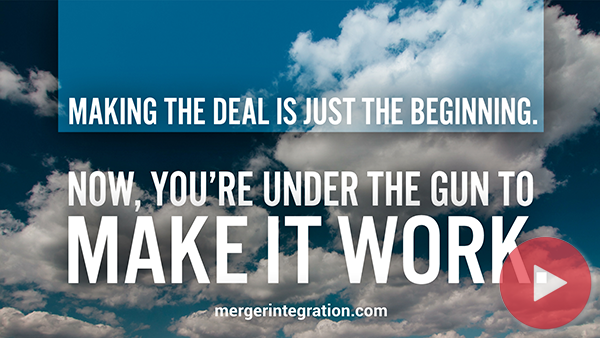 You can screw up the integration process in many ways and still have a successful merger, but the deal fails if you foul up at merging the sales forces. Sales brings money in the door . . . or not. And that’s why Sales integration is the make-or-break issue. Mergers are always based on a financial logic, and that’s how they’re ultimately graded—not on a “morale” logic, or “culture compatibility” quotient, or other random metrics. In the final analysis, the results that count are about money. If your sales people are churning out killer results, that alone can protect the deal from becoming a victim of most integration sins.